To Repair or To Replace? | AAction Air Conditioning & Heating Co. Although built to be durable, your furnace isn’t going to last forever. In fact, the average lifespan of a furnace is anywhere between 10-15 years. So, if your furnace is between these ages or even older, then it might be time to consider replacement, especially if it is already experiencing problems. 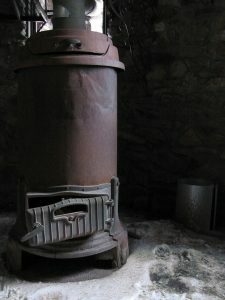 Once a furnace reaches a certain age, there is a significantly increased risk of sudden system failure. Sure, furnace repair Savannah, GA is inevitable. From time to time, your furnace will have a problem that needs to be fixed. However, your furnace should not require more than one repair a year. If you have found yourself making frequent repair calls, it suggests your furnace is in deep trouble. As a general rule of thumb, if you are spending more money to repair your furnace than it would cost to just replace it, a replacement is worthwhile. Why spend money on an unreliable system? There are a variety of reasons as to why your furnace has become ineffective, and only an HVAC professional can accurately diagnose the problem. However, a furnace that can no longer keep up with your family’s heating demands might need to be replaced. Why be uncomfortable when the temperature drops if you don’t have to be? It’s a fact: your old, outdated furnace is just not going to be as efficient as a newer model. Over time, the build-up of wear and tear due to everyday use will cause your furnace to become inefficient. One of the best ways to monitor your system’s efficiency is to keep a close eye on your monthly heating bill. When your furnace struggles, it must work harder to circulate warm air throughout your home, which requires more energy. So, if you have noticed a rise in heating costs, it might be time for a replacement. As with all HVAC decisions, it is important to first consult with a trained technician. In some cases, your furnace will just need repair services, and sometimes, a replacement might be more worthwhile. Only a professional can determine which option is best for your home. For all your furnace needs, contact the experts at AAction Air Conditioning & Heating.